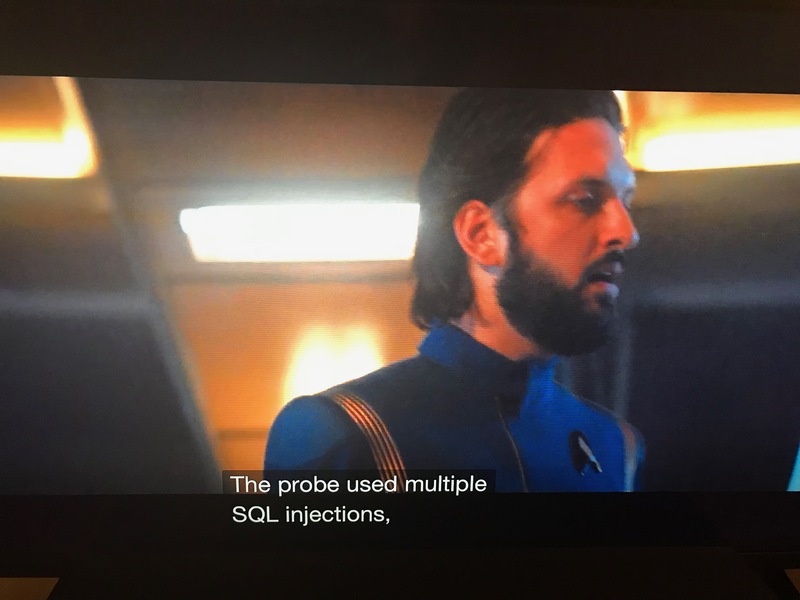 Apparently, in the fictional 23rd century relational databases and SQL are still in use not only by the United Federation of Planets but also by alien probes from the future! Normally Star Trek creates some technobabble gibberish for this sort of thing, so I certainly found this line surprising. Perhaps the writers thought it was just gibberish or that it would sound like gibberish to the average person. But anyone who uses databases knows that SQL Injections can be a real issue. A SQL Injection refers to an issue when your app inadvertently allows a user to inject their own SQL into one of its database queries. Read this post on how to avoid them. And this will return a lot more data. Obviously this is a simple example, but this type of exploit can be much more sophisticated. And apparently also something that alien probes from the future might try to use. SELECT * FROM Task WHERE Name = ? And of course, relevant XKCD.